Proper functioning of an institution is possible only with discipline which signifies good order and culture. 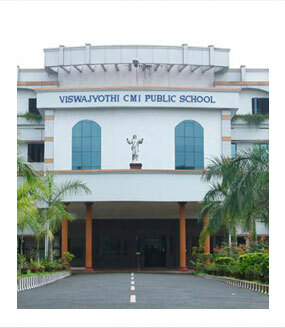 The obligation of discipline is the mutual responsibility of all students, parents and staff of Viswajyothi Public School. Each faculty member has the right and obligation to correct any student who disregards school or class regulations. Therefore students and parents should be familiar with the rules and regulations printed in the School Diary and also published in the School Website. The students have to bring the Students’ Hand Book / School Diary every day and the daily lessons’ reports and home works are to be taken down in the school diary. Students should reach the school 10 minutes before the first bell rings. Late comers should meet the Principal with their diary. Students will not be allowed to enter the class after the second bell unless the student has a pass/permission from the Principal by noting it in their diary. Repeated incidents of late coming will be recorded in their diary and disciplinary action will be taken. Students are not allowed to leave the school premises during the school hours without the permission of the Principal. They should have lunch in the school itself. Frequent or long absence will be severely dealt with, unless there is a genuine reason for the same. Unauthorised continuous absence of 15 working days will involve the removal of the students’ names from the rolls without intimation. Absentees should bring a leave letter and it must also be entered in the page of leave record in the school diary. Physical Education is compulsory for all students. No student is exempted unless he/she produces a doctor’s certificate. Non Payment of fees/dues: The school reserves the right to stop the students from appearing for any examinations if they do not pay fees and other dues. TC will be issued only after the settlement of dues if any. Please Note: The students who got prior permission regarding the payment of fees or who have fee concession are exempted from the above. All students should strictly follow the dress code and uniform policy of the school. Students should be in neat and clean uniform on all school days unless otherwise specified by the school administration. As part of following the strict uniform policy of the school and also to avoid difference in shades and patterns, the school insists on readymade uniforms for all students from the next academic year onwards. School socks, belt, tie and ID card are part of the uniform for all the students. Students should wear ID Cards on all days as part of their uniform. Low waist pants are strictly banned. Boys should wear executive pants only. Girls should wear long socks having length up to knee. Vests for the boys, slips and tights for the girls are compulsory. Students are permitted to wear plain black back strap sandals during the monsoon season (First Term only) as part of the uniform. Fancy haircuts/fancy jewellery/gold ornaments (except one pair of small ear studs for girls) are not allowed for both boys and girls. Extra ear pierce is not allowed. Boys should have regular haircuts and senior boys should be clean shaved. Colour dress is permitted to the students during special occasions announced by the school; however students are allowed to wear colour dress on their Birthdays. English Speaking is compulsory in the school campus. Repeated violations of the same will lead to disciplinary action. Mobile phones, Magazines, Comics, Fancy articles, Toys, CDs and all sorts of electronic gadgets are strictly banned in the school. If any student violates this, strict disciplinary action will be taken against him/her. The article will be confiscated and will not be returned. Students are not permitted to give treats to any person in the school premises. Selling, buying or use of any kind of drugs or alcohol is strictly banned in the school premises. The school reserves the right to dismiss students whose diligence or progress in studies is continuously unsatisfactory or whose parents show little interest in the progress of their ward even after repeated intimation from the school or whose conduct is harmful to other students or any kind of malpractices during the examinations or any kind of theft. Use of abusive language, scribbling on the desks, benches, walls etc, neglecting the instructions of the teachers and any kind of misbehavior in and outside the school premises will be seriously dealt with. Causing any kind of damage to the school properties will be considered as a serious offence. In such cases, the parents will have to bear the expenses of the damaged property. Students are not permitted to drive vehicles (except bicycles) without valid license. Even though they possess license, they are not allowed to come to the school by self driven vehicles. If they are found doing so, strict action will be taken. Students should not ask lift to the strangers. Disobeying the traffic rules or the instructions of the traffic assistants at the bus stop will lead to strict disciplinary action. Misuse of school newsletters, circulars and other official papers given from the school will be seriously viewed. Discourteous behaviour or any incident bringing discredit to the institution will lead to serious repercussion. For 6 minor violations, one yellow card will be issued. On the Yellow Card, the common possible violations will be printed and each violation should be ticked and countersigned by the Principal at the time of issue. Fine will be collected from the yellow card holders and the amount will be utilised for buying library books. For 4 Yellow Cards, one Red Card will be issued. Red Card explains the gravity of violation and the red card holder and parent should be aware of the consequences either suspension or dismissal as decided by the Principal. Major violations if found any and which need immediate action will be directly dealt with by the Principal. The Management is the sole authority to take actions in such cases (after hearing from the child and parent) which may result in the dismissal of the child from the school. Please Note: The school reserves the right to add/delete/amend the rules and regulations from time to time.